Fluxion presents some of his most diverse work yet, including an exclusive versioning of an unreleased Dennis Brown vocal, and backed with a Thomas Fehlmann remix. The legendary JA vocalist appears on 'No Man Is An Island', paying faithful, respectful tribute to classic Rhythm & Sound styles with skilled finesse, while 'Desert Night' gauges deeper, shuffling Dub House licked with quiet desert guitars, and 'Butiama' steps up into slinky, urging, stepper's House rhythms. 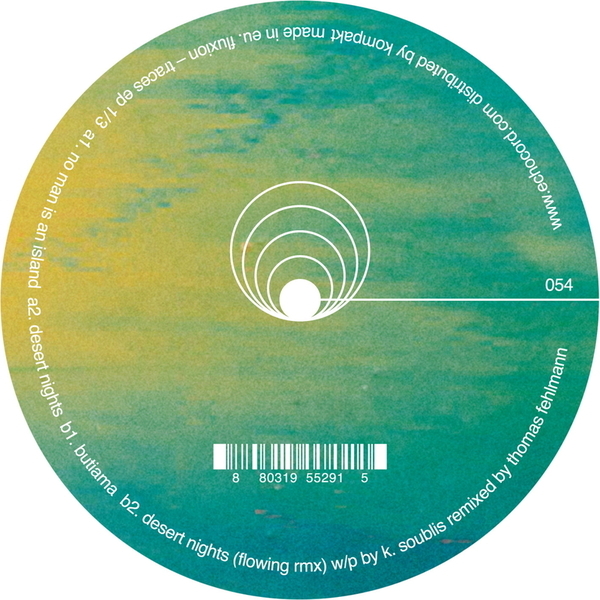 Taking Desert Night' Thomas Fehlmann teases out a more sublime late night atmosphere from its languid grooves.